Amazfit's Equator and Moonbeam wearables are the latest devices to come from Huami, the company that's partnered up with Xiaomi to sell the Xiaomi Mi Band 2 and Mi Band Pulse. With the same team behind the hardware and software of Amazfit, Huami hopes the clout behind the Xiaomi fitness trackers will help boost interest in the new offerings. However the design is drastically different from the Xiaomi trackers. The Equator and Moonbeam devices are far sleeker, as the company sets its sights on the fashionable crowd. 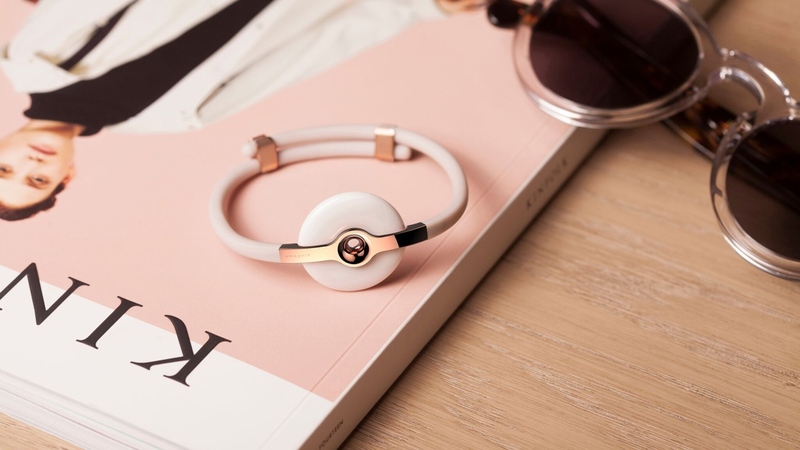 Despite its simple jewellery-like appearance, the wearables are fully functioning trackers able to record steps, distance traveled, calories burned and monitor sleep quality. There's no face for app and text notifications but it does receive incoming call vibration alerts. With no display, the battery life boasts 10 days of usage, much like the Pebble watches. Each hypoallergenic ceramic casing is water resistant with an IP68 rating meaning it's water resistant to a maximum depth of 1.5m. Amazfit has told me you can take it in the shower or wash the dishes with it, but not hop in a swimming pool. Though there's only two colors for the ceramic piece (black and white), there's several bands to choose from including a Sport band, white leather band for the Moonbeam design or Rainbow and black/white options for the Equator design. Wearing the ceramic body as a necklace is also possible, similar to the Bellabeat Leaf. The Amazfit Equator and Moonbeam are both priced in at $79.99 and are available now from Amazon.com. Look out for our review where we'll dish the dirt on whether this sleek tracker is one to keep an eye on.